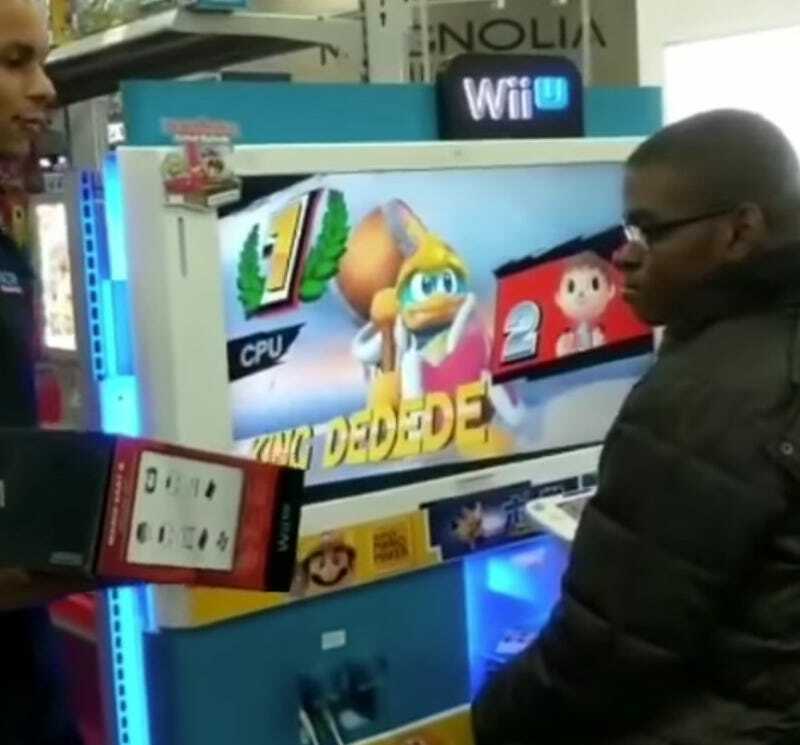 Teen who was gifted a WiiU by a group of employees at a Best Buy in Valley Stream, N.Y. The Best Buy employees at a Valley Stream, N.Y., store have gone viral after gifting a teen with a WiiU. According to the store's manager, Rahiem Storr, the boy would come into Best Buy every day to play the demo WiiU up to "three hours sometimes." Several employees decided to pull together $300 to purchase the boy his own WiiU. "On behalf of all of us here at Best Buy, we got you a WiiU," the employee said, "so you don't have to come here every day and play." The boy was speechless and started to get teary-eyed. "No, for real, this is for you. Consider it an early Christmas present," the employee said. "I just saw a bit of myself in him," Storr said, "because when I was a kid, I used to also come to a lot of the stores. My mom, she really couldn't afford some of the stuff herself. If we're able to give him something, why not?" In an interview with ABC, Storr said the boy still comes to the store and he's definitely a welcome guest.